A dazzling and fully functional website has become the need of the hour. When you step out to create a website there are many stages that one needs to favorably cross before they have a website par excellence. One among them is the Sketch to the HTML5 conversion process. The plethora of features, a clean and clear design and the easy to code out designs are some of the basic advantages that you get to lay your hands when you opt for converting the Sketch file to HTML codes. 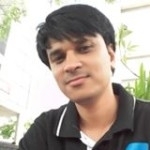 Having said this, the Sketch to HTML5 conversion services are being sold like hot cakes, due to the popularity and the convenience that this designing user interface is known for. Today, let me familiarize you with the basics of Sketch that you need to be aware of to create an exceptional user interface. To begin with, the sketch could be best described as an intuitive designing app that has made a special place in the hearts of thousands of designers who wish to create the best user interface. Let me walk you through some of the beginner's guide that will make your journey a smooth and commendable one. Read on to find out about it. The sketch app is loaded with a lot many features that generously contribute to making the designing journey a fruitful one. Symbols, smart guides, easy grids, artboard presets, templates, shortcuts, color picker, pixel perfection, multiple stokes, etc. are some of the most appreciated features of the sketch app. So before you get started with designing the best user-interface, get yourself familiarized with the features and the technicalities of the Sketch App. You will come across a variety of online tutorials that will guide you along the way. Make the best use of them to enlighten yourself on how to use the Sketch app for fabricating designs that are par excellence. 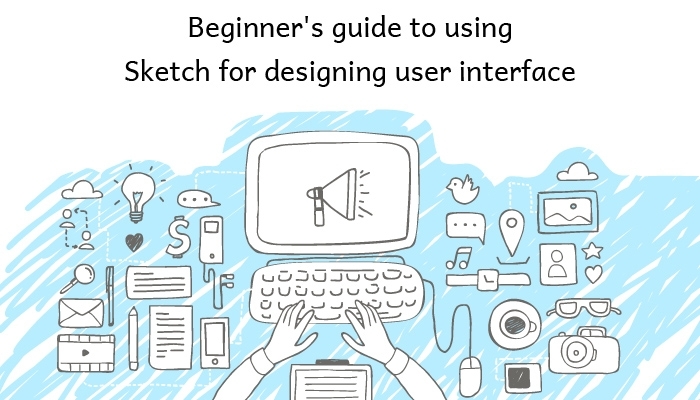 The informative resources too can be referred to when you wish to make clear about the sketch user interface. They could be downloaded and easily viewed whenever the needs arises. The sketch app has many keyboard shortcuts that makes it convenient to prepare an easy to follow workflow. The different keyboard shortcut helps in improving your design workflow, which in turn will considerably reduce your time and energy in shaping the perfect design. Also, when you have a well-defined workflow you significantly get to increase your productivity. Hence, it becomes necessary to make yourself aware about the various keyboard shortcuts. Artboards are one of the most celebrated features of Sketch that just cannot be ignored. It significantly helps in creating fixed frames on the Sketch's canvas. You can start by creating an Artboard that perfectly resembles a canvas. Also, if you want to export more than 1 artboard at the same time, you will have to press Shift+cmd+A. In addition to these, there are many important functions that you can make use of with this Sketch feature. The sketch mirror feature gives you the privilege to preview the designs and prototypes so that you can get a clear idea as to how interesting will the user-interface be. This feature is necessary when you are designing a mobile app or a responsive design as it permits you to see how the design will look like on other devices. The sketch toolbox is one of the best resources that will immensely help you in installing the required plugins as and when the need arises. In addition to this, it also makes uninstallation an easy process. The toolbox allows you to surf through the most popular plugins, download, install and also keep them all updated. The sketch toolbox could be best described as a plugin manager that you would love to put your trust in. The above-mentioned are some of the basic yet important points that will significantly help you in making the best use of Sketch. Owing to this, the Sketch to HTML5 conversion services have started gaining prominence due to its flexibility and great features. Being one of the most popular screen-based design tools, Sketch has managed to pull the attention of all those designers who expect convenience and excellence when it comes to creating a great user-interface.